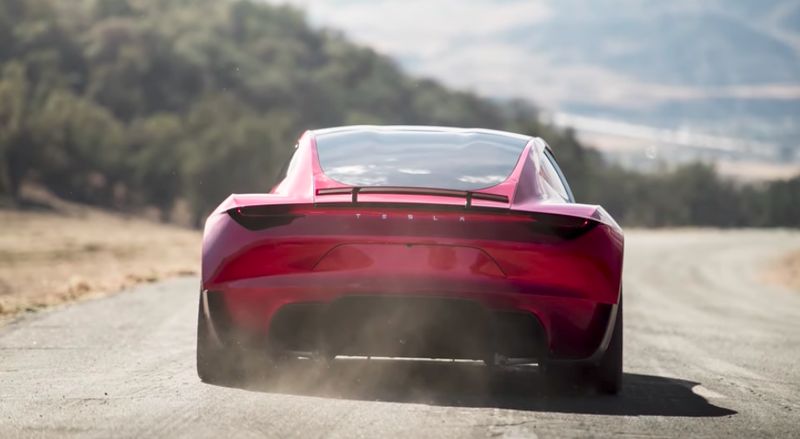 Though a battery researcher told me he thinks Tesla’s performance claims for its new Roadster are plausible, there are many other factors besides batteries that affect acceleration. So let Jason Fenske from Engineering Explained walk you through the basic physics of how Tesla might pull this off. Last year, Fenske made a video claiming that the quickest viable zero to 60 mph time given current tire technology is about 2.05 seconds. But in this new video, he says that doesn’t mean Tesla’s 1.9 seconds to 60 mph claim is false, as advances in tire tech could bring the theoretical limit down. Fenske admits the flaw with his previous zero to 60 mph “theoretical limit” calculation, which was based on a Corvette’s braking distance. The idea, there, was that using a car with the lowest braking distance gives a good indication of the maximum rate of change of a tire’s angular velocity before losing grip. But as Fenkse points out in the clip above, the hydraulic ABS pumps applying the brakes aren’t going to be able to apply exactly the maximum amount of pressure to remain on the very threshold of tire lockup. On the other hand, an electric motor—like the one in the Tesla Roadster—could use a fancy traction control system to get the tires closer to the threshold of tire grip. So maybe a car could reach 60 mph in under 2.05 seconds. Fenske looks at the Dodge Demon’s Nitto drag radials to get an idea of the performance limits of the most modern automobile tires. That car allegedly gets from zero to 30 mph in one second; if those tires can allow for that kind of acceleration consistently, that could mean a zero to 60 mph time of two seconds flat is possible, especially if Tesla works with Michelin like Dodge worked with Nitto to create vehicle-specific tires. The Dodge Demon’s 2.3-second 0-60 mph time is currently the quickest of any production car, but the Challenger does not have all-wheel drive, so perhaps there’s still a bit of time an all-wheel drive car (like a Tesla Roadster) with similar tires and power numbers could shave off. Fenske points out that none of Tesla’s claims have been independently tested, so basically all of those shocking performance figures that Elon Musk bragged about on stage are essentially useless. Plus, we don’t even know if that 1.9 zero to 60 mph figure includes rollout, which would make the acceleration claim significantly less impressive. There are lots of unknowns, here. It’s a short video that walks through the engineering considerations associated with getting a car to accelerate quickly—things like tires, battery weight, heat transfer and lots more—and asks a lot of good questions whose answers are required to accurately assess Tesla’s claims.